Gravesham's Christmas Light Switch On and Parade. We entertained the gathering crowds in the town centre from 3.45pm before joining the Christmas Parade with fantastic lanterns created by SameSky, climaxing with the Drumming Santa's at 5pm in the Market. A Same Sky event in Dartford with hundreds of local School children parading through the streets with their hand made lanterns and Bloco Fogo to add some carnival atmosphere. What a great night with Same Sky in Brighton for Burning the Clocks 2012, celebrating the shortest day. A brilliantly clear sky set the scene for some imaginative costumes and lanterns, with a black and white theme bringing all the different groups together. Ending off the evening, our new Burning the Clocks 2012 groove sounded really funky and tight down on the beach with around 140 drummers, follow by an amazing firework display. Support this suburb local community arts event and make sure it happens again in 2013. The fourth Dartford Festival of Light was re-scheduled for Friday November 23rd following poor weather in October led to the original event being cancelled. 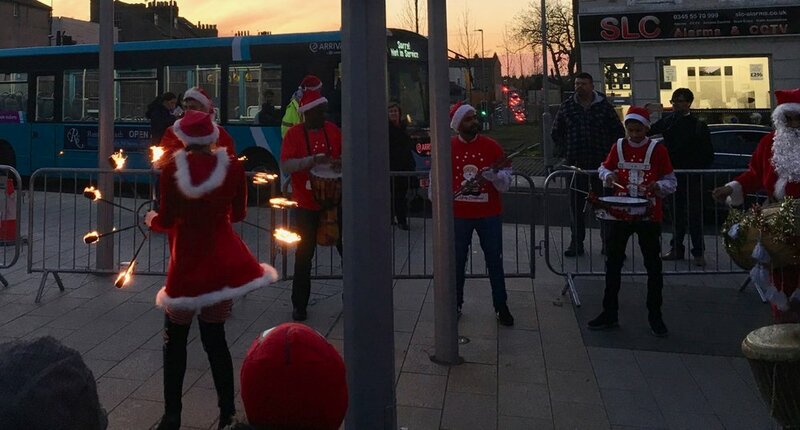 The event featured a parade involving 9 local schools and some 400 pupils who departed from the green opposite Dartford Central Library around 4.30pm before heading into the High Street walking past the Paper Moon Pub before climaxing on One Bell Corner. The participating schools were then be presented with trophies by the Mayor of Dartford Cllr. Ann Allen. 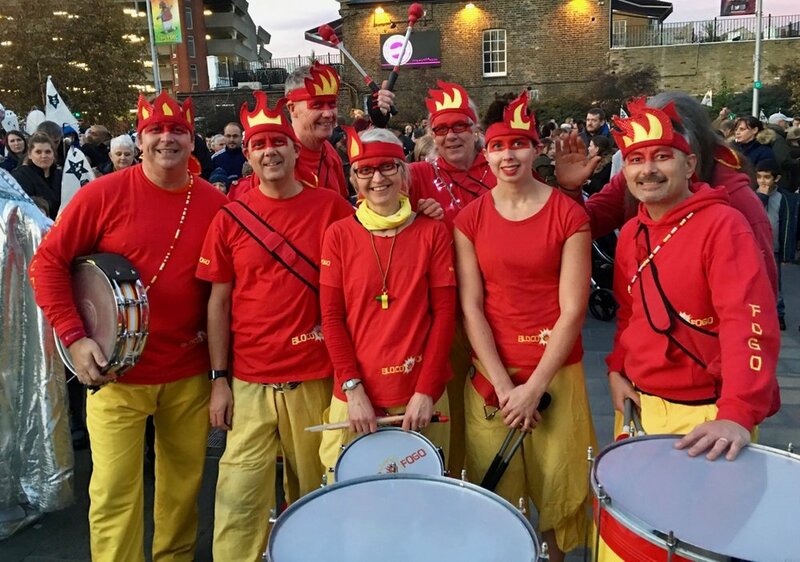 The parade also featured popular local groups Bloco Fogo Samba and Dhol Drummers from the Four by Four Bhangra Youth Club and DJ Stan Lee King who played popular hits on One Bell Corner between 4pm and 5pm. The aim of the festival is to celebrate the great British Year which has included the Diamond Jubilee, Olympics, and the Paralympics and the British values of respect, excellence, friendship and equality. The Festival of Light has been organised by Cohesion Plus in partnership with Kent Equality Cohesion Council with the support of Dartford Borough Council, Arts Council England and Kent County Council.